Great for multiple athlete training stations. Designed for those looking to get an edge over the competition. Everything needed to enhance your current training program. Adds variety to typical, status quo speed and agility workouts. 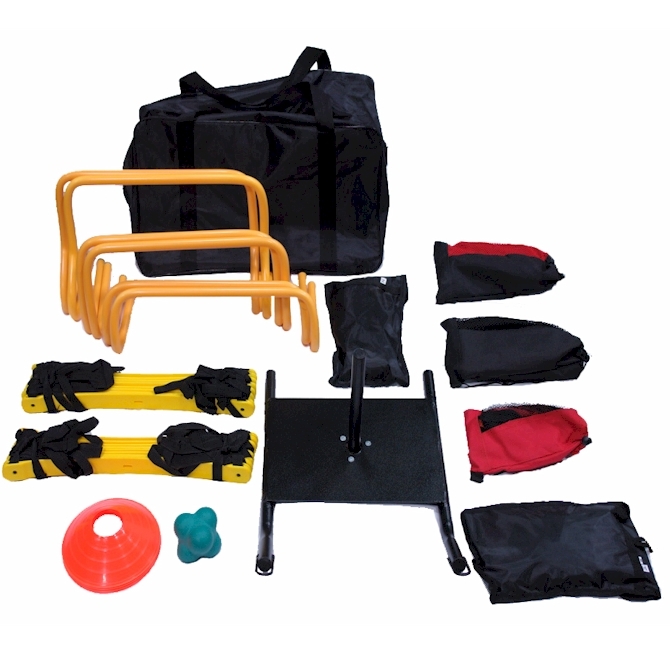 Each component assists with speed, agility, balance, and power development.